​Join us to learn about and celebrate comics, superheroes, and more. 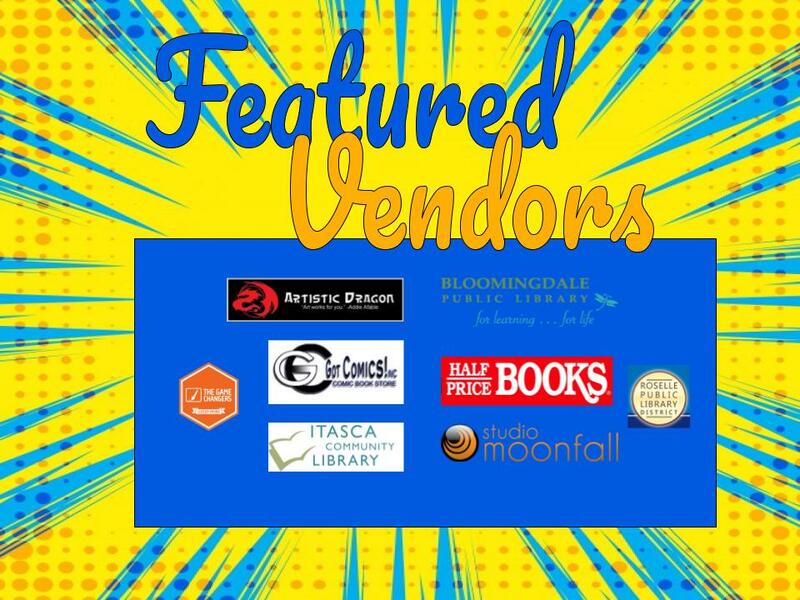 This event is free, but be sure to bring some spending money for a bite to eat and to check out our fabulous vendors who will be selling comics, comic-related goodies, and more! 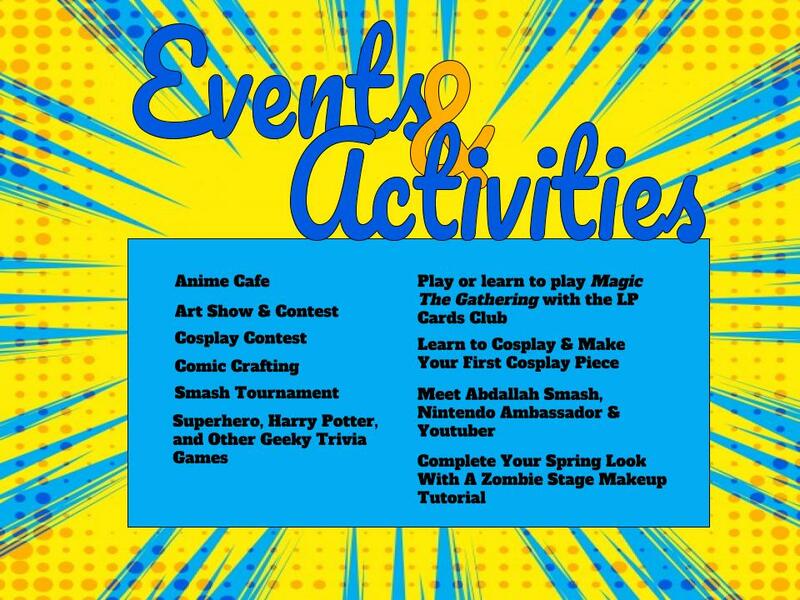 Please keep in mind that all Lake Park school rules are in effect (whether or not you currently attend Lake Park) while at the event...including the dress code if you plan to cosplay! FREE for all LP and sender school students! Students from Lake Park and all Lake Park sender schools are invited to attend. A shuttle bus can be provided from sender middle schools, if requested at time of registration. All attendees must have their own ride home after the event! Click here for the mobile-friendly registration page. LPC-2 is a free event, but registration is required. All artwork should be somehow related to Comic-Con and it's many topics, which could mean anything from your own personal zombie interpretation to a comic-book superhero, to a portrait of your favorite Manga character, or anything in-between! You can bring your artwork on the day of the Comic-Con or give it to your art teacher. You will receive an Artsy certificate and prizes will be awarded. All art should be school-appropriate. If you have any questions or concerns, please do not hesitate to email Mrs. Sutton at LPHS East OR talk to your school librarian!